As you can see from the post Winter Wonderland it is cold, damn cold at the moment. This has led to me being housebound for 2 months unable to get out as the lakes have been frozen. Due to this I have been going up the walls suffering from fishing related “cabin fever” so much so that my wife ordered me to go fishing at the 1st opportunity. 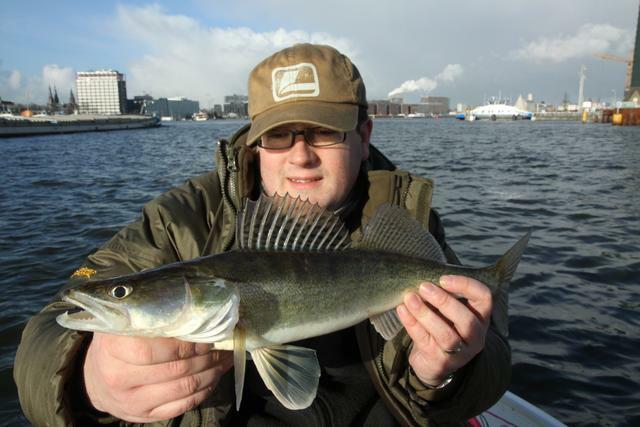 As I had been out with Juul from FishingAmsterdam.com before it seemed the logical choice if I wanted a 1/2 decent chance of catching a zander to book with Juul. The date was set and I was full of anticipation, at 07:40 sharp I arrived at the pre agreed meeting spot to be presented with a cup of hot coffee and a croissant, not a bad start and it bode well for the day. Juul discussed the options as to the quarry and as zander were on the menu ( figuratively) we decided to start on them and then around lunch time swap over to pike as the day brightened up a little. We arrived in the Ijselmeere before 08:30 and after a short journey began to fish for zander using the vertical jigging technique ( some of my UK readers my be unfamiliar with this technique so look back here for an article) and rubber stick baits. Alas the day did not start out all that productive with only a few missed takes. Zander at any time of the year are finicky biters but in the winter they practically just nudge the bait. You end up striking at the slightest vibration in case it is a zander just inspecting the bait. One of the things I really like about Juul is that generally he will also fish as well ( depending on the number of guests) which means that if he is not getting takes then you know that the area is devoid of fish. This is quite a confidence boost as with zander it is easy to start to think that you are doing something wrong… some times there are just no hungry fish in the area. Anyway a brief move to another hot spot saw us again jigging away waiting for a hungry fish, and before long there was the telltale gentle pluck on the lure, and I was in. People often say that zander don’t put up much of a fight and sometimes they are right, however not today each zander put up quite a scrap and they continually dived and dived for the bottom but each were eventually beaten by the net. As is normal the zander were not feeding alone and occasionally in addition to the gentle zander bites there was the furious take of an angry perch. When the perch move in it is normally because the zander have stopped feeding so each time we had landed a few perch we moved on to zander pastures new. The final tally was 5 zander and 3 decent sized perch and more importantly a huge smile on my face which was the whole object of the exercise. 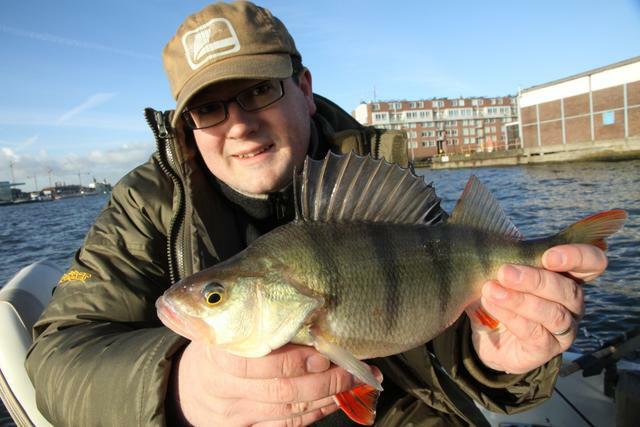 If you want similar smile action go to www.fishingamsterdam.com and book now !